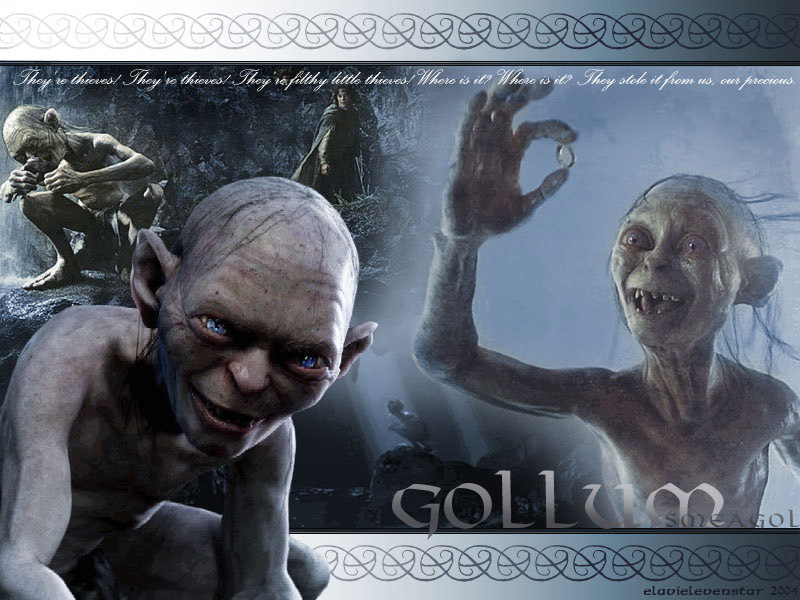 Gollum. . HD Wallpaper and background images in the el señor de los anillos club. smeagle.Reminds me of kreacher from Harry Potter, but sightly cuter.still freaky when he keeps going "precious" and flips out in the two towers when the men capture him for entering the forbidden pool. Sauron is my favourite character. Just look at his armour!